Sheridan Road Veterinary Clinic has a skilled team of veterinarians who welcome you to our practice. Proudly serving the Tulsa area. At Sheridan Road Veterinary Clinic, it is our daily privilege to provide quality vet care to your cherished pet, with compassion and competence. We hope to ensure a positive impact on our patients, pet owners and the local community. 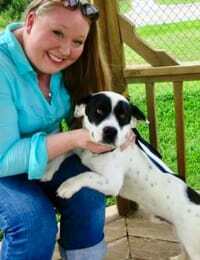 Dr. Olson obtained her DVM from Oklahoma State University in 2013. Previously to veterinary school, she was a Registered Veterinary Technician for 8 years working in Emergency & Internal medicine. She is known for her colorful hair & her strong interest in chronic disease management, cancer treatment & overall patient care. On her days off, she enjoys cooking, spending time with her family (both human & fur-babies) & traveling. 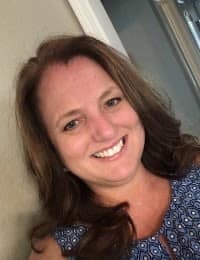 Dr. Thompson is a native Oklahoman, growing up on a ranch near Ada and moving to Green Country in 2005 to attend the University of Tulsa where she received her B.S. in Biology in 2009. 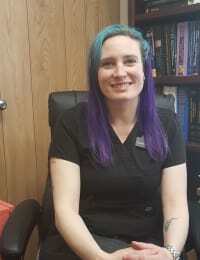 Dr. Thompson received her Doctor of Veterinary Medicine in 2014 from Oklahoma State University College of Veterinary Health Sciences and has been a small animal practitioner in the Tulsa area ever since. Dr. Thompson’s areas of interest include soft tissue surgery, rehabilitation medicine, and preventative medicine with an emphasis on client education. Dr. Thompson and her husband, Shad, settled in the Keystone Lake area in 2010 and when she’s not in the clinic, she is busy trying to keep her twin toddlers, 4 dogs…and husband…out of trouble :) She is an avid reader and amateur photographer, and enjoys going to concerts and 4-wheeling with friends and family. Dr. Hart joined our practice in 2018. She graduated from OSU in 2001 and has been practicing in the Tulsa area ever since. Dr. Hart has 2 long haired Chihuahuas, Pablo and Bea. She enjoys Dermatology and Dentistry. In her spare time she enjoys arts, crafts, and bee keeping with her father. Dr. Broadbooks is a part time Veterinarian that joined our team in July of 2016. 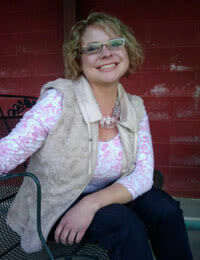 She graduated from OSU College of Veterinary Medicine in Spring of 1998. Her area of medical interest is in Dental Health, she loves to see your pets smile!